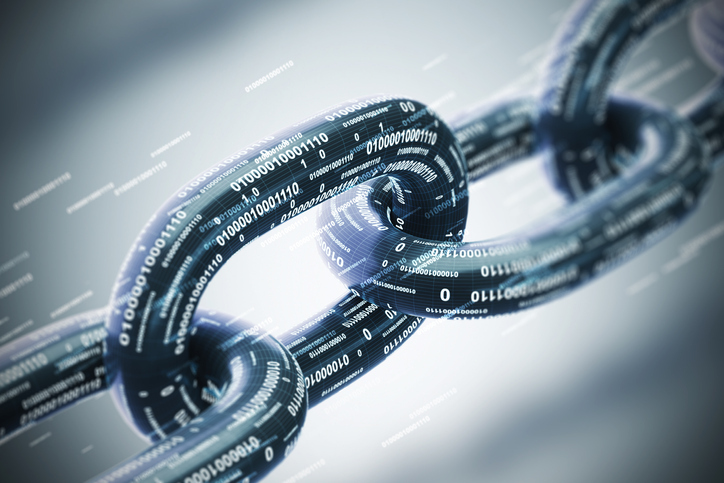 Blockchain has been synonymous with crypto currencies for some time but its range of applications and roles in the wider digital transformation are now much more fully understood. 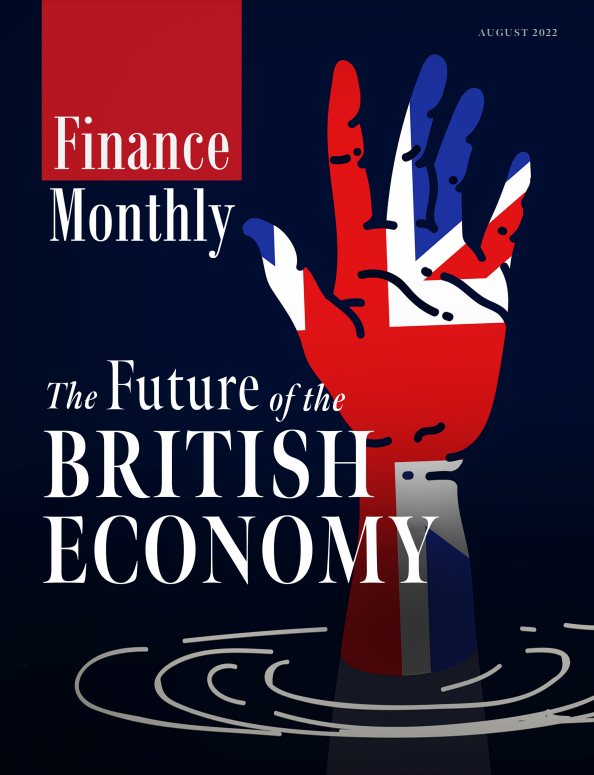 This is certainly true of the financial industry, which is gradually shaking off its legacy systems and incorporating this revolutionary technology into an ever-growing number of uses. Blockchain is correctly described as the technology behind crypto currencies, recording transactions made between parties. But its key and unique feature is its capacity to provide an undisputed audit trail. It establishes an incorruptible digital ledger of transactions that can be programmed to record every data item of value. In practice, Blockchain acts like a single spreadsheet copied thousands of times across a network of computers. This spreadsheet can be updated on a constant, real-time basis and is shared identically across the network. Using Blockchain, two strangers can conduct business with no need for a third party, while creating a legally-indisputable record of an agreement. As such, there is no point of weakness at which data can be corrupted or hacked. This issue is of growing importance for those players involved in deals in which adding more contact points increases vulnerability exponentially. Using Blockchain, two strangers can conduct business with no need for a third party, while creating a legally-indisputable record of an agreement. Each year the financial industry conducts trillions of euros-worth of transactions and Blockchain has the potential to revolutionise how these deals are executed. Blockchain streamlines and speeds up transactions, facilitating fast and secure payments with less cost, potentially anywhere in the world. The security that Blockchain provides is also a key element in that it renders the tactics used by cybercriminals as obsolete. JP Morgan, HSBC and Bank of America Merrill Lynch are already exploring Blockchain to facilitate international payments and trade-related transactions but Blockchain can also be used in the real estate sector, for example, to conduct transactions, including the transfer of properties and escrowing of funds. Blockchain can also be used to apply ‘smart contracts’, which are still at a nascent stage of development, but which have the potential to deliver powerful changes in a wide range of sectors. Smart contracts have the terms of agreements written into computer code and this enables the automation of certain functions, such as authorised parties conducting transactions according to the terms. A simple illustration of this is a vending machine, which enables a consumer to buy a bar of chocolate at a fixed price without the need for any third party. Smart contracts have tremendous potential. They provide security and consistency and help to reduce transaction costs, not least by reducing the need for ‘middlemen’. At present, they are far from flawless and work still needs to be done to address the grey areas that, in practice, often arise in contracts and transactions. There is much room for refinement, but such contracts do already have clear applications. In real estate, for example, smart contracts can keep track of leases and monitor payments. Going forwards, smart contracts can only become much more commonplace in the financial industry. The technology by which computers store information has gone through several cycles over the decades. Data carriers have seen evolution from punch-cards and magnetic tape to floppy and zip discs, to the more familiar CDs, DVDs, hard drives and USBs. While the latter formats are still widely used, they are clunky and perishable. Drooms is the first virtual data room (VDR) provider to recognise Blockchain’s potential in the transaction space and incorporate it into its product offering. By using this technology, information that was previously archived using DVDs, hard drives and USBs can be authenticated at the click of a button. Such documentation is invaluable in the legal guarantee phase of a transaction. If there is a legal dispute, then there can be no argument as to who accessed which documents and data and when. Parties cannot argue that they were misled with regards to what they were buying. 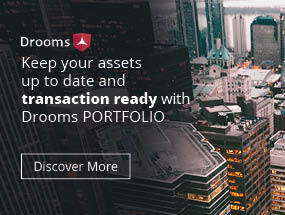 Drooms is the first virtual data room (VDR) provider to recognise Blockchain’s potential in the transaction space and incorporate it into its product offering. Drooms is also storing the data on its servers for a fee for the duration of a warranty period. Whereas DVDs might be lost or corrupted over time, for example, this issue does not exist if a data room is available for reactivation whenever required and all data has been verified and archived according to a unique Blockchain record. All parties with a password will be able to access the data at any time and without the need for notaries. Drooms’ current goal in relation to Blockchain is to provide tamper-proof, cutting-edge and long-term data storage and protection with quick, secure and unrestricted access for all parties involved. We currently offer all modern formats of storage, but we have no doubt that Blockchain will eventually supersede these, not least because it will not fundamentally alter the costs of a VDR initially and over the longer run it will only reduce them. Going forwards, financial professionals need to consider the power of Blockchain to disrupt their businesses and industries and to pinpoint ways in which they can leverage this ground-breaking technology to their advantage. Further ahead, we see tremendous potential in applying Blockchain to the incorporation of digital signatures and improving contract analysis. Enabling clients to sign documents within a data room, thereby avoiding third-party involvement and the need to print and sign documents before re-uploading them to the system, boosts efficiency without creating inferior versions of contracts. Thanks to Blockchain, future data rooms could enable users to read and pull up previously unsearchable contracts that have been signed by specific parties, thereby automating traditional contract management. Going forwards, financial professionals need to consider the power of Blockchain to disrupt their businesses and industries and to pinpoint ways in which they can leverage this ground-breaking technology to their advantage. Our plan is to help our partners by staying ahead of the technology curve, finding new and innovative ways in which to help them using Blockchain.